All Medford homes currently listed for sale in Medford as of 04/25/2019 are shown below. You can change the search criteria at any time by pressing the 'Change Search' button below. If you have any questions or you would like more information about any Medford homes for sale or other Medford real estate, please contact us and one of our knowledgeable Medford REALTORS® would be pleased to assist you. "Spectacular East Medford Estate on .53 acre w/stunning views! This timeless designed home offers 5 bedrooms, 4 full bathrooms & 2 half-baths. Enjoy comfort & elegance inside & out! Main level master suite. All bedrooms mini-master suites! Bonus room w/wet bat & theater room. In-ground pool. 4-car attached garage. Pristine landscaping. Impressive waterfall feature in front." "Exceptional setting for you & your horses plus have the option to continue a profitable boarding business! Over 44 acres w/approx. 32 acres irrigated - underground lines. Main home & guest house. Detached shop w/garage. 4 & 3 bay equipment sheds. Large round pen & huge outdoor arena. 3172 sq. ft. barn w/paddocks. Tack room, stables & personal lockers. Several pasture shelters. Fenced & cross-fenced. Onsite riding trails. Large pond." "Incredible valley views from this beautiful, newer custom-built home on 5.5 acres! Gated, paved driveway. Single-level living w/basement bonus room complete with wet bar. Hardwood and heated tile flooring. Well-appointed kitchen. Attached 3-car, finished garage. Swim spa. Artesian well. Fantastic property inside and out!" "Impeccably maintained home on private, park-like setting w/ beautiful views! Unique opportunity in fantastic East Medford location close to country club, golf & medical. Elevator is accessible in garagegreat alternative to attractive stair entry and to upper level. Amenities include maple wood floors, wood windows, crown molding, wainscoting, Caesarstone and granite counters, vintage accents and built-ins. In-ground pool, hot tub." "A large circular driveway leading to an arched glass front door welcomes you into a home made for entertaining. Inside you will find Brazilian Cherry hardwood floors, Venetian plaster walls, crown molding, built-ins, family room w/vaulted ceilings & wood burning fireplace, formal dining room w/wainscoting, formal living room w/fireplace & a separate office with french doors." 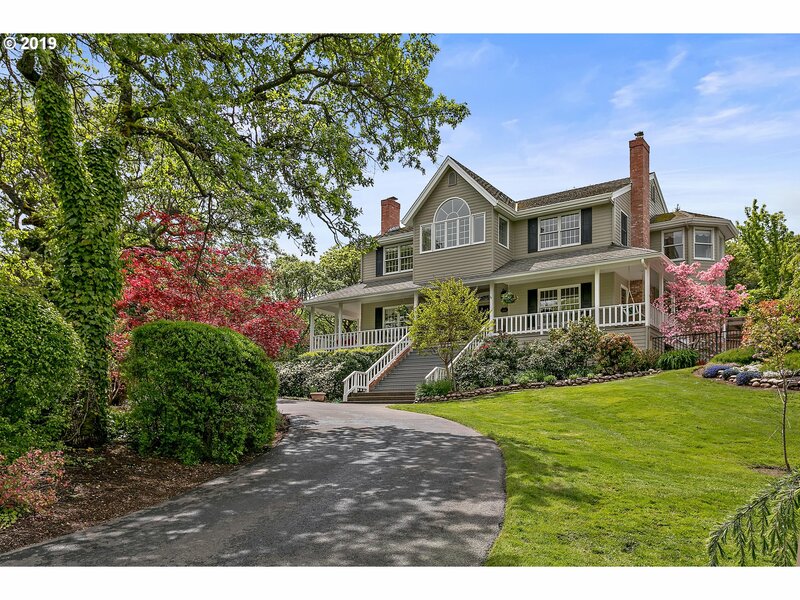 "Beautiful craftsman on 11.84 acres in Roxy Ann Heights - sought-after gated community in East Medford! High vaulted ceilingsw/exposed wood beams. Stunning valley & mountain views. Attached 3 car garage + detached garage/shop w/heat & a/c & carportfor RV parking. City water & natural gas." "This open floorplan welcomes you in, creating a vast living & entertaining space opening up to a large covered deck bringing the outside in, equipped with built in BBQ, heaters, TV & whole house sound system. The gourmet kitchen includes beautiful granite counters, 48 Subzero fridge, 36 Wolf gas range w/griddle, Wolf steam oven, Wolf microwave/convection oven, a second bar w/sink, built in wine fridge & stand alone ice maker." "Calling all horse owners and farmers! This property is set up to accommodate tons of animals, crops, and multiple RVs. This is a historic 1910 farmhouse that has been kept in amazing condition, features some upgrades like natural gas stove & alarm system. Behind the house a detached 3 car garage, 24-30 shop, HUGE covered arena with 4500 Square feet of riding area and 12 10x10 stalls, as wells as covered and gated off areas for animals." 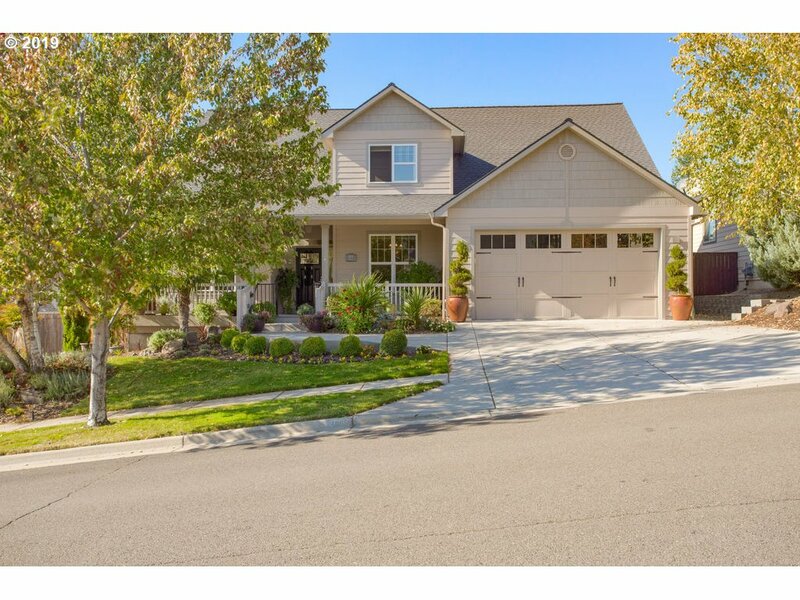 "The exquisite attention to detail in this custom designed E Medford home is undeniable. With beautiful LVP floors, custom cabinetry with soft close doors/drawers in the kitchen you re sure to love the quality of workmanship. The kitchen w/stainless steel appliances, bright white quartz countertops, and island with breakfast bar is stunning. Main level master suite has a large walk-in closet and beautiful master bath." 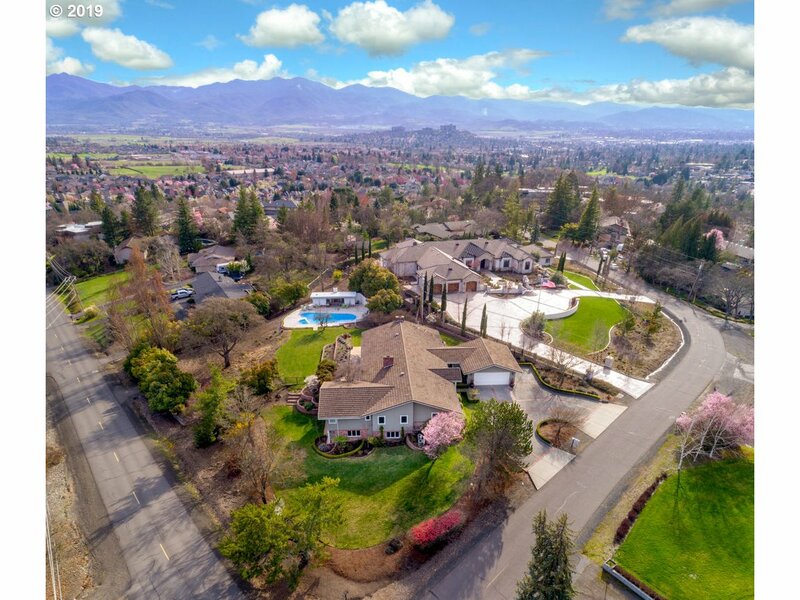 "This incredible East Medford home, faces West and overlooks the RoxyAnn Vineyard and Rogue Valley! This custom, open floor plan house has travertine stone tile floors throughout the house. Only the living room and bedrooms have carpet. The entire kitchen has travertine kitchen countertops (that match the floor) with new maple cabinets. The island has a down draft gas burner range and there is a fireplace in the dining room!" "The property offers 2 wells, 4 cross fenced fields, chicken coop and barn perfect for horses or other livestock animals. The home displays a wonderful floor plan featuring vaulted ceilings, granite countertops, wired surround sound, new cabinets, wood floors, carpet and tile throughout. The heating/cooling system has 3 zones, perfect for keeping the upstairs master suite comfortable even if you choose to light the wood burning fireplace"
"This charming Craftsman style home will delight you with modern touches and gorgeous views. The 5 bedroom, 2.5 bath, 3,283 sqft home welcomes you into an open foyer, formal dining room and leads to the huge informal living room with vaulted ceilings. The spacious Main level Master offers a full ensuite bathroom with a jetted tub, walk-in shower, double vanity, & large walk-in closet." "Gorgeous E Medford craftsman style 2 story home w/tons of storage & 3 CAR GARAGE!This home has many upgraded features including central vacuum, upstairs has surround sound & dual climate zone w/NEST thermostat, electronic air filter on furnace,4 remote controlled sun shades & 2 manual sun shades, wired camera system w/4 cameras,ceiling fans in all bdrms & great room, plus stub out for gas bbq & wired for hot tub. Beautifully landscaped." 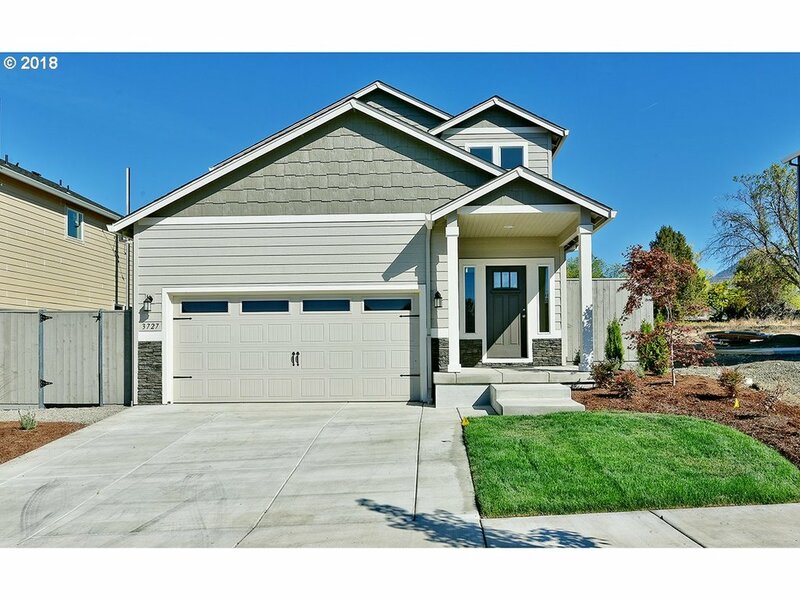 "Beautiful, custom built new construction home in a fantastic East Medford neighborhood. Single level 4 bed, 2.5 bath, 2,363 sq. ft. with large, open living spaces and a functional split bedroom floorplan. Gourmet kitchen that includes an expansive center island, breakfast nook, walk-in pantry,granite countertops and stainless-steel appliances." "Open Concept Modern Farm style - New Custom Construction by Larry A. Denn Construction, Inc dba Denn Construction. Located in Bella Vista Heights. Includes 4 bedrooms, 2 1/2 baths and 2160 sq ft. Beautifully designed floor plan has many custom features: Large open Kitchen with walk-in pantry, quartz counter tops, custom cabinets & back splash. Master Bath with soaking tub, custom tile & granite counter tops." "This beautiful property on Dark Hollow Road has almost 5 acres of flat usable land! This property is in a private setting and has gorgeous views of the surrounding mountains. Super peaceful and quiet area. There are two homes on the property, as well as two out buildings. One of the homes is over 1600 sf with 2 beds and 1 bath, the other home is 1292 sf and also has 2 beds and 1 bath." "New custom construction in the Rockland Place Subdivision. This 3 bedroom, 2.5 bath, 1,941 sqft home will delight you with its open and bright floor plan and attention to detail. The Master bedroom is spacious & features a large walk-in closet and an abundance of natural light! The Master bath offers double sinks, decorative backsplash plus additional storage." "Great Southwest Medford location near Griffin Creek Elementary School. This 1796 sq.ft. custom ranch style home has 4 bedrooms and 1.5 baths. Plenty of parking with a drive-through driveway, space for RV parking around back and an attached one car garage. Front and rear covered custom decks are the perfect spot for relaxing, entertaining guests and taking in the pastoral views." 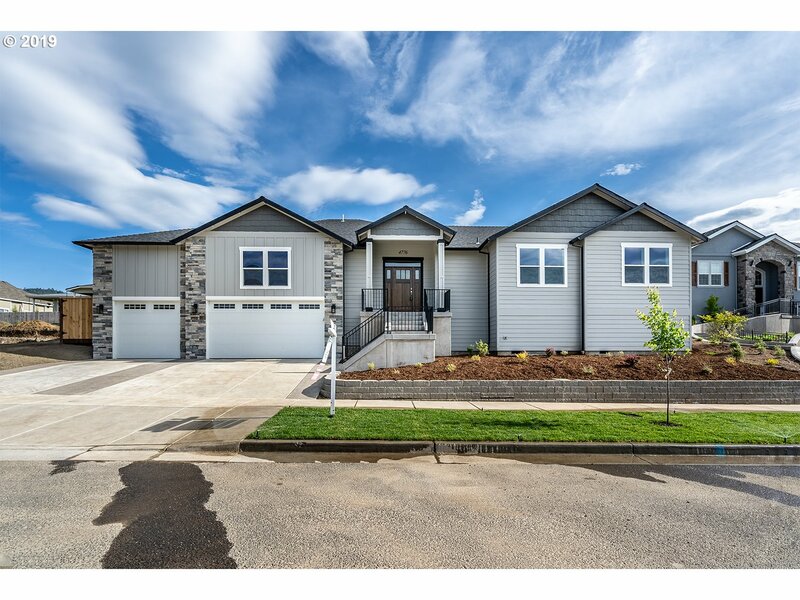 "Great single-level floor plan in fantastic East Medford neighborhood with common space, trails, and golf at the Rogue Valley Country Club! Formal and informal dining rooms. Built-in hutch and storage throughout. Vaulted living room with two skylights and ceiling fan. Wood burning fireplace. Perfect sized kitchen. Over-sized guest bedrooms. This gem is waiting for your updates and finishing touches." 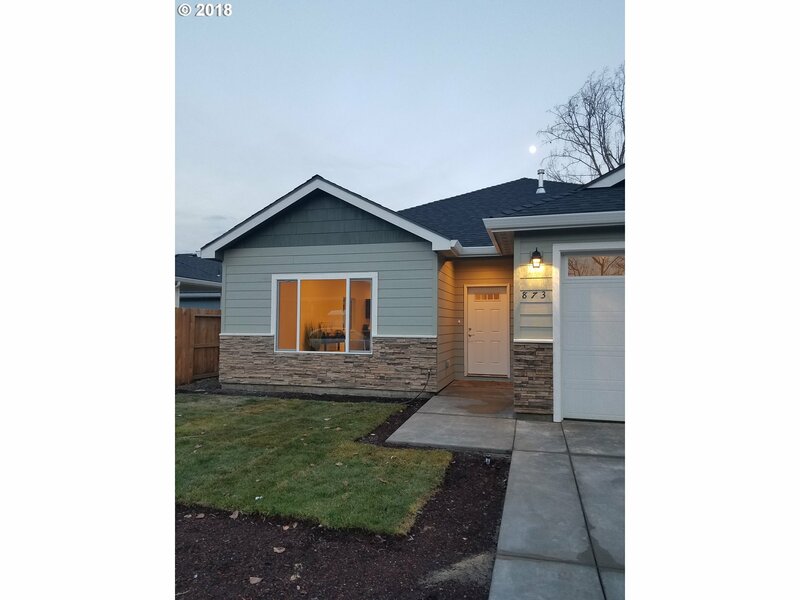 "Come see this immaculate 1,997 Sqft, 3 bedroom 2 bath home that has tons of curb appeal, located in a nice quiet cul-de-sac in East Medford. This spacious floor plan has vaulted ceilings, ceiling fans, a beautiful rock fireplace, wood and tile floors and brand new carpet throughout. Enjoy cooking in the gourmet kitchen which has granite counters, a beautiful rock peninsula bar, tons of counter and cabinet space, stainless appliance, and"
"Going fast! One level open floor plan in sought after E Medford. We are priced right and ready for action." "This beautifully maintained single level home in Northwest Medford will delight you with open soaring ceilings in both the living room and master bedroom! The 3 bedroom, 2 bath, 1,567sqft home welcomes you into an open living room, hardwood floors in the entryway, decorative gas fireplace, and a spacious kitchen with plenty of cabinet/counter space." "Great location, just blocks to Downtown Medford, and close to other recent city improvements. Home offers a wonderfully versatile floor plan featuring a large and completely brand new kitchen with an abundance of new cabinets and granite countertops, plus stainless steel appliances including a gas range, main level master bedroom with walk in closet, a large living room plus a large dining/family room, and an oversized 4th bedroom." "Welcome home to one of Medford's charming subdivisions. Brand New 3 bed 2 ba offers Open Kitchen design features shaker style cabinetry, full slab granite counters, stainless steel appliances, vaulted ceilings, energy efficient lighting, HVAC, insulation & Milguard Windows.Spacious living room opens to dining area with slider allows for easy access to 20 ft fenced backyard! 9ft side yard.No through street.Builder has priced to SELL!!"